We are fortunate in Texas to have access to amazing fresh tortillas and great dried chiles; this recipe relies on both. Central Market here in Houston makes tortillas daily and has a wide array of dried chiles. Availability of these items has increased, so as always, search for the freshest ingredients possible. I love using chicken thighs for this recipe as it assures your Enchiladas will not be dry. I was light on the amount of cheese I used for this recipe, so you could always increase the amount if you prefer a cheesier enchilada. 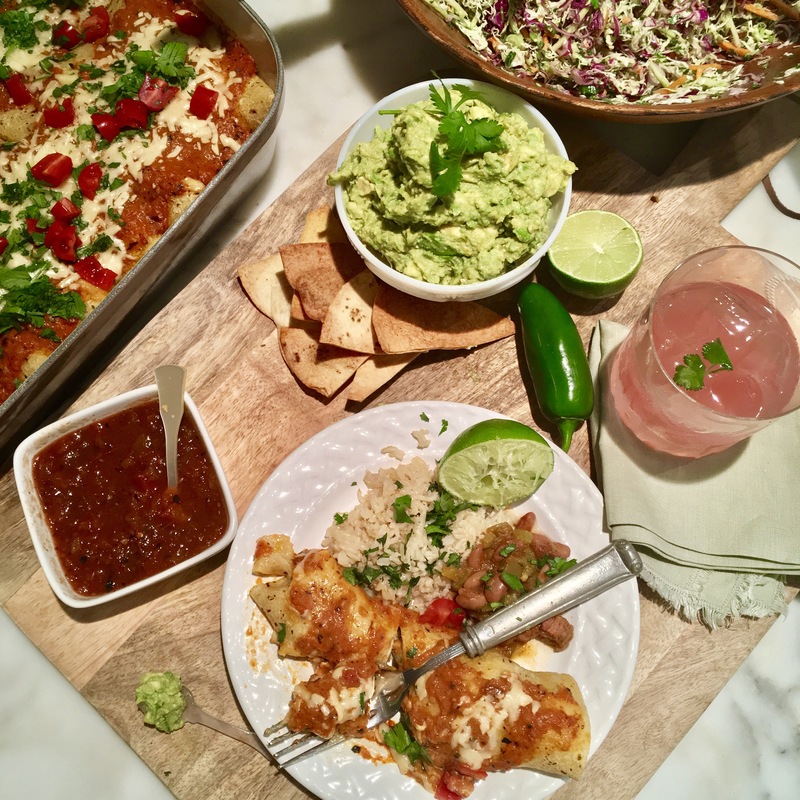 Served with cilantro rice, borracho beans, Avocado -cilantro coleslaw and of course a margarita!